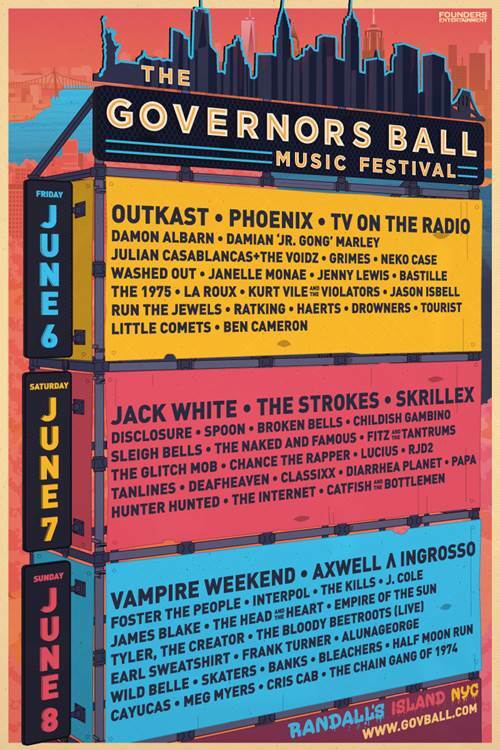 Just announced – the day line ups for Governors Ball in NYC. The Kills play Sunday 8th June. A limited number of single day tickets will go on sale this Friday 4th April, at 12pm EST.